Baseballs slip from pitchers’ hands all the time, inadvertently contacting batters as a matter of accident. When it’s cold and windy and grip is poor, this is especially true. It was certainly true Sunday night in Philadelphia, as the Phillies and Braves combined for 15 walks and three hit batters. When the timing of one of those hit batters is questionable, however, every mitigating factor flies out the window. Which is why the Phillies were so angry at Braves reliever Shane Carle. When Carle drilled Rhys Hoskins in the seventh inning, it followed a Bryce Harper and subsequent celebration with his teammates just outside the dugout. It might have been that Harper’s homer put the Braves into a 4-1 hole after they’d already lost the first two games of the series while giving up 18 runs. Nobody could blame them for frustration. The other source of Philadelphia’s ire was that the pitch came in nearly head-high, eventually striking Hoskins on the shoulder. Never mind that Harper and Phillies starter Jake Arietta said that they didn’t think it was intentional, sentiments echoed by Braves manager Brian Snitcher and catcher Brian McCann. Carle had drilled Philadelphia’s cleanup guy right after being taken deep. Hoskins got up yelling, clearly furious. It was the third time in two games against Atlanta that pitches had come close or actually hit him. Plate ump Rob Drake agreed, ejecting Carle. After the game, Phillies manager Gabe Kapler unloaded. This matters less in a one-game sample than it does when considering that these teams—each of them hoping for full resurgence after long fallow periods—play each other 16 more times this season. Should Braves pitchers take liberties with the inside corner against Philadelphia, even without trying to hit anyone, they have to know that they’re playing with fire. The same can likely be said for members of the Phillies staff. Here’s hoping that nothing comes of it, but boy it’s gonna be fun to watch. Please. The former sentiment (from the acknowledgements section, after the story had wrapped up) has nothing to do with the latter. This isn’t some fan blog. Authentic reporting is essential to doing my job well. 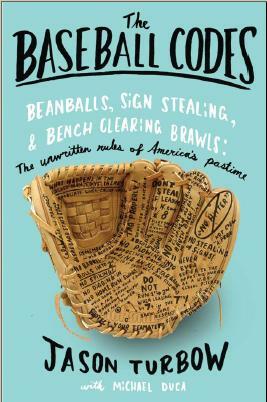 Jerry Reuss’ comment on the book—”Hands down the most accurate portrayal of events and personalities of the 1981 Dodgers that I’ve seen”—supports the point. The point was that Lasorda never stopped promoting the Dodgers, for virtuous reasons. That was the first paragraph of the book’s first chapter, the rest of which builds on supporting that thesis. Book reviews aren’t easy, and it’s not fair to expect a reporter to give cover-to-cover treatment to all nine books in a column. I just want to make sure that Dodgers fans out there know they’re getting an even shake from me. This was a team worth reading about. Heading to LA to record the audiobook in April, and looking forward to the official release of everything in June. There’ll be lots on the docket then, from readings to appearances. Can’t wait to share it all.